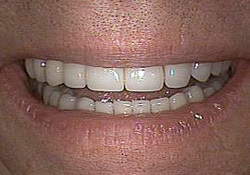 Dental implants can help restore the look of one or more natural teeth. The surgery and placement of the implants requires expertise and accuracy. The implant surgery itself is an outpatient surgery best accomplished by a periodontist or oral surgeon who is trained to place dental implants. The time frame for dental implants, from consultation to completion, can vary from patient-to-patient. Typically, implants in the lower jaw take slightly less time to complete than in the upper jaw, with an integration time of 3-4 months and another month or so needed for restoration. Overall, the window is anywhere from 6-9 months or longer if bone grafts are needed. Scheduling a consultation with us is the first step towards achieving a marvelous new smile! Dr. Marsh will get to know you and your goals. During this visit, Dr. Marsh and his team may examine your teeth and do a comprehensive exam. At this stage, X-rays and impressions may be taken of your teeth and gums. We use the latest digital technology and tools such as the Trios digital imaging system to make mouth impressions without messy materials or uncomfortable trays. This improves your comfort and the overall accuracy of the process! 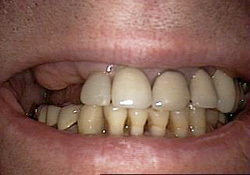 At this stage, damaged or diseased teeth will be removed. This may be scheduled in advance of the dental implant placement surgery to allow for adequate healing time or, in some cases, is done concurrently with the implant placement if the tissue and bone allows for it. Dental implants need to be placed in areas with adequate amounts of bone to ensure the implant has enough support. In some cases, bone grafts are required to add support to specific areas of the jaw. This process can take anywhere from 3-9 months to heal. The actual implant surgery happens in an outpatient/dental office setting under local anesthetic or general anesthesia. During this step, a periodontist or surgeon will place the implant into the jaw. The time needed for the surgery varies depending upon the number of implants as well as existing dental conditions. 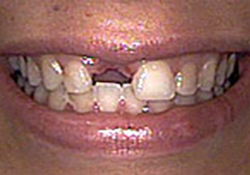 Three to four months later, the implant is “uncovered,” and the patient is referred back to Dr. Marsh for the restorative phase. In a follow up treatment with Dr. Marsh, final impressions are taken for the lab work to be done. Within a few weeks, the abutment, crown, bridge, or tooth-anchored denture is fabricated, and Dr. Marsh and his team attach these restorations to the implant post or posts. 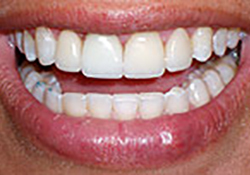 The color, contour, and finish are all carefully crafted to fit perfectly with the rest of the teeth, so that a seamless appearance is achieved – insuring that the patient can enjoy eating and smiling again!